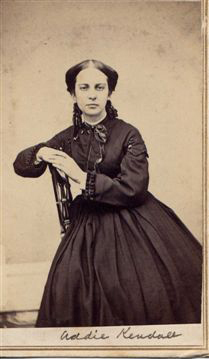 Helen Holcombe was born on 16 February 1832 at Sterling, Worcester Co., MA. She was the daughter of Deacon Augustine Holcombe and Lucy Bush. Helen Holcombe died on 18 May 1832 at Sterling, Worcester Co., MA. John White Holcombe was born on 2 October 1833 at Sterling, Worcester Co., MA. He was the son of Deacon Augustine Holcombe and Lucy Bush. John White Holcombe died on 6 January 1835 at Sterling, Worcester Co., MA, at age 1. Willis Wright Holcombe was born on 26 November 1827. He was the son of Starr Holcombe and Phebe Smith Wright. Willis Wright Holcombe died on 29 March 1853 at age 25. William Hubert Holcombe was born on 11 April 1830. He was the son of Starr Holcombe and Phebe Smith Wright. William Hubert Holcombe died on 22 January 1856 at age 25. Merton Starr Holcombe was born on 13 November 1832. He was the son of Starr Holcombe and Phebe Smith Wright. Merton Starr Holcombe died on 25 October 1834 at age 1. Frederic Egbert Holcombe was born on 13 August 1835. He was the son of Starr Holcombe and Phebe Smith Wright. Frederic Egbert Holcombe died on 27 May 1839 at age 3. Carol Laun reports that Addie had no children of her own but raised Frank's son Ned, an "obstinate spoiled child." The Salmon Brook Historical Society sponsors a competition for high school students and Amy Williams of the Loomis Chaffee School wrote a lenghty essay in 1994 on Adelaide. Based on her diaries it details the tedium and monotony of daily chores for a 19th century Granby woman. The essay is reproduced in "Collections of the Salmon Brook Historical Scoiety", volume 5. [S161] Carol A. Laun, Granby Center Cemetery, Page 67. Luzerne Clifton Holcombe was born on 8 April 1844. He was the son of Starr Holcombe and Phebe Smith Wright. Luzerne Clifton Holcombe married Nellie Augusta Rice, daughter of Levi Rice and Lydia Preston, on 25 November 1874 at First Congregational Church, Granby, Hartford Co., CT. As of 1880, Luzerne Clifton Holcombe was also known as Sageme Holcombe. He died on 8 April 1922 at Village of North Granby, Granby, Hartford Co., CT, at age 78. Luzern and Nellie were enumerated in the 1880 Granby, Hartford Co., CT, census with Addie. The Mormon transcription of the 1880 census incorrectly identifies him as "Sageme". Luzern and Nellie were enumerated in the 1920 Granby census (page 8B, line 96); he was age 75, a farmer. Nellie was listed as 67. Edmund was living at home. Nellie was enumerated in the 1930 Granby, Hartford Co., CT federal census, page 1B, as a boarder in the household of Emma Whitcomb. She was 77 and widowed. [S23] Jesse Seaver, The Holcomb(e) Genealogy, Page 90/Item 246.5.VII. [S25] Hannah McPherson, Holcombe Genealogy, Page 129.2/Item A-8-1-2-6-6-5-7. Burdell Clifton Holcombe was born on 20 October 1851. He was the son of Starr Holcombe and Phebe Smith Wright. Burdell Clifton Holcombe died on 28 September 1858 at age 6. Rachel (?) married Milo Holcombe, son of Nahum Holcombe and Rebecca Moore, at Iowa. Rachel (?) married (?) Buck. Enlisted in the 5th Iowa Regiment, organized at Burlington, Des Moines Co. Killed age 22 years in battle of Iuka, Miss. Elvin Milo Holcombe was born in 1841. He was the son of Milo Holcombe and Rachel (?) Elvin Milo Holcombe died on 19 September 1862 at Civil War; Battle of Iuka. [S164] Carol Laun, Holcombe Collection, Pages 62-75. At the time he completed the WWI draft registration, Edmund was working on Luzerne's farm. Edmund and Julia were enumerated in the 1930 Simsbury, Hartford Co., CT federal census ED 208, Page 4B, Line 72 with son Edmund C, Jr. and son Luzerne. McPherson gives a date range of 1841-2, prior to the marriage, probably based on a census report. Seaver's date is more appropriate to the marriage date. Daniel enlisted in Oct 29, 1861 for 3 years as a private in the 41st Ohio Regt., organized at Camp Wood; as a member of Co. A, 41st Ohio volunteer Infantry in the battle of Franklin, Williamson Co., Tenn, near Nashville being caught at Overton's Knob in an advance too near enemy's breastworks to retreat, rushed over the parapet and took prisoners and battle flags as the enemy began to evacuate; then lay near to prevent an attempt at skirmish. The flags were believed to belong to Stewart's Corps at Franklin, Tenn. Another account puts his capture of flags in battle before Nashville, Tenn., Dec 15 and 16, 1864; was dispatched to Washington, DC, Feb 13, 1865, where he was awarded a Medal of Honor for taking the flags by the Sec'y of War. After his discharge, he became "a traveling man," and in 1879, he opened a business in Sedalia, Missouri, listing his occupation as merchant, according to a statement he made that's in his pension folder. His first wife, Myra B. Holcombe, was granted a divorce by the Circuit Court of Pettis County, Missouri, along with $30 a month alimony. They had one son. Daniel's second wife was Cora Belle Rippey, daughter of John Rippey, of Sedalia. He married Cora on 15 Feb. 1894. They had no children. After his final pension check was returned, the Pension Bureau recorded Daniel's death as having occurred on 14 Dec. 1900 in Sedalia. In Cora's filing for a widow's pension, Daniel's physician attests that Daniel's death did occur on that date. According to Daniel's entry in a Medal of Honor citation book, he is buried in the Crown Hill Cemetery, Sedalia. 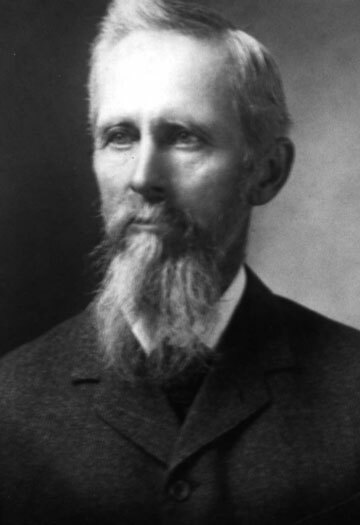 Daniel Irving Holcombe was born in 1843 at Hartford, OH. He was the son of Webster Holcombe and Harriet A. Ducker. Daniel Irving Holcombe married Cora Belle Rippey on 15 February 1894. Daniel Irving Holcombe died on 14 December 1900 at Sedalia, MO. [S23] Jesse Seaver, The Holcomb(e) Genealogy, Page 88. [S25] Hannah McPherson, Holcombe Genealogy, Page 125.2/Item A-8-1-2-6-6-1-2-1. Franklyn and Margaret "Halcom" were enumerated in the 1900 Madison, Dane Co., WI, federal census. He was 41, she was 35. Children in the household were Madge 12, Florence 11, Russell 5, Raymond 2, and Robert 10 months. Franklyn Young Holcombe lived at 312 N. Carroll St., Madison, Wis. He was born on 22 December 1858 at Burgh Hill, OH. He was the son of Webster Holcombe and Harriet A. Ducker. Franklyn Young Holcombe married Margaret M. Calkins on 6 November 1886. [S25] Hannah McPherson, Holcombe Genealogy, Page 126.1/Item A-8-1-2-6-6-1-2-6. 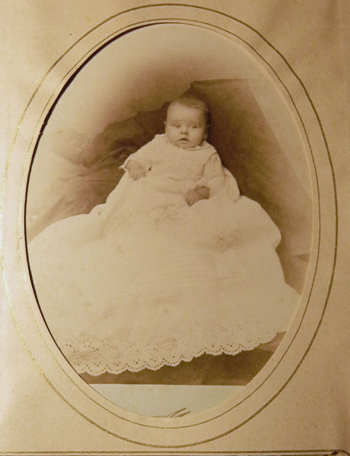 Margaret M. Calkins was born on 11 August 1864 at WI. She married Franklyn Young Holcombe, son of Webster Holcombe and Harriet A. Ducker, on 6 November 1886. Frederick William Holcombe was the son of Daniel Irving Holcombe and Myra Ingraham. Salesman in Chicago, ILL.
Madge Evelyn Holcombe was born on 27 August 1887 at WI. She was the daughter of Franklyn Young Holcombe and Margaret M. Calkins. Madge Evelyn Holcombe lived at Madison, Wis.
[S25] Hannah McPherson, Holcombe Genealogy, Page 126.1/Item A-8-1-2-6-6-1-2-6-1. 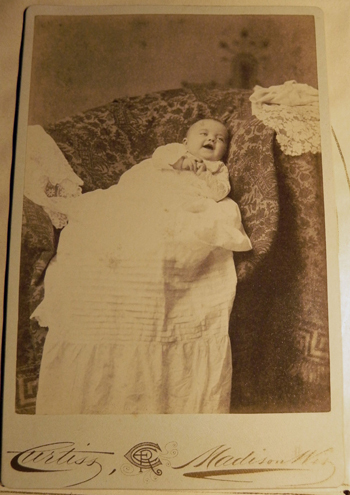 Florence Ethel Holcombe was born on 7 November 1888 at WI. She was the daughter of Franklyn Young Holcombe and Margaret M. Calkins. Florence Ethel Holcombe lived at White Water, Wis. Teacher. Salesman. Russell Franklyn Holcombe lived at 2222 Ryan St., Madison, Wis. He was born on 17 July 1894 at WI. He was the son of Franklyn Young Holcombe and Margaret M. Calkins. [S25] Hannah McPherson, Holcombe Genealogy, Page 126.1/Item A-8-1-2-6-6-1-2-3. [S182] Social Security Death Index (on-line), Ancestry.com, SSDI, Ancestry.com, SSAN 360-03-0570. 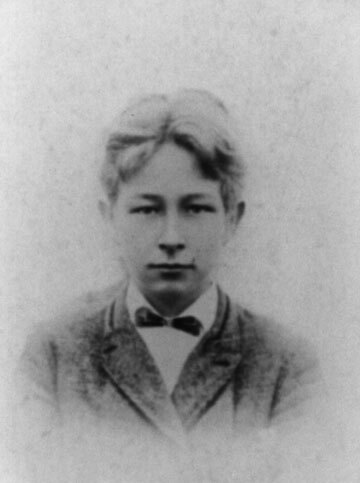 Raymond Edward Holcombe lived at Iowa City, Iowa. He was born on 28 April 1898 at WI. He was the son of Franklyn Young Holcombe and Margaret M. Calkins. Raymond's WWI draft registration card showed that he resided at 22 W. Dayton, Madison, born April 28, 1898, a student at UW; his nearest relative was his father, F. Y. Holcombe; he was tall of medium build with grey eyes and light hair. [S25] Hannah McPherson, Holcombe Genealogy, Page 126.1/Item A-8-1-2-6-6-1-2-6-4. [S182] Social Security Death Index (on-line), Ancestry.com, SSDI, Ancestry.com, SSAN 326-44-6398. "The birth of a son to Mr. and Mrs. Nahum Holcomb of Orangeville, OH, was announced on March 3, 1899"
Nahum and Blanche were enumerated in the 1910 Hartford, Trumbull Co., OH, federal census. He was a farmer age 44; she was 37. They had been married 11 years and had 5 children who were all still alive. Children in the household were Charles 11, Albert 9, Ruth 7, Merle 5, and Alda 1. 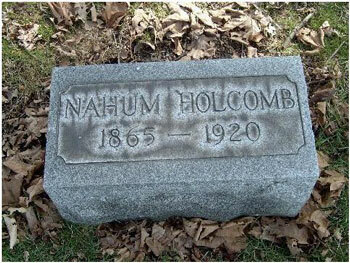 Nahum and Blanche were enumerated in the 1920 Hartford, Trumbull Co., OH, federal census. He was a farmer age 54, she was 47. Children in the household were Charles A. 21, Albert D. 18, Merle 15, and Alda(?) 11. [S807] Find A Grave, online http://www.findagrave.com, Find A Grave, database and images (https://www.findagrave.com : accessed 9 September 2018), memorial page for Nahum Wesley Holcomb (21 Aug 1865–19 Mar 1920), Find A Grave Memorial no. 38207048, citing Hayes Cemetery, Hartford, Trumbull County, Ohio, USA ; Maintained by skye (contributor 47137314) . Emma Jane Holcombe was born in 1846 at OH. She was the daughter of Webster Holcombe and Harriet A. Ducker. Emma Jane Holcombe married Dudley Leroy Viets, son of Drayton Viets and Caroline Segar, on 27 March 1872. Emma Jane Holcombe died on 27 February 1876. [S25] Hannah McPherson, Holcombe Genealogy, Page 125.2/Item A-8-1-2-6-6-1-2-3. [S208] Dorothy Dean Viets Schell, Viets, Page 181. Dudley Leroy Viets was born on 21 June 1845 at Fowler, Trumbull Co., OH. He was the son of Drayton Viets and Caroline Segar. Dudley Leroy Viets married Emma Jane Holcombe, daughter of Webster Holcombe and Harriet A. Ducker, on 27 March 1872. 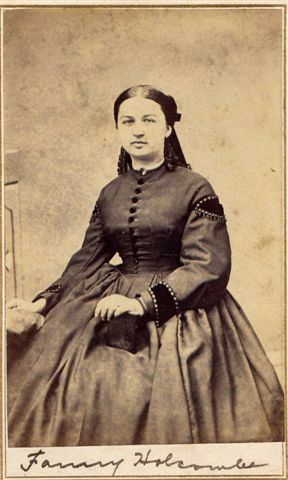 Dudley Leroy Viets married Helen J. Fitch, daughter of Charles L. Fitch and Eliza Hedglin, on 15 March 1882. Dudley Leroy Viets died on 20 December 1906 at Warren, Trumbull Co., OH, at age 61. [S208] Dorothy Dean Viets Schell, Viets, Page 181/Item 303. Mary C. Holcombe was born in 1852. She was the daughter of Webster Holcombe and Harriet A. Ducker. Mary C. Holcombe died in 1892. [S25] Hannah McPherson, Holcombe Genealogy, Page 126.1/Item A-8-1-2-6-6-1-2-4. Clara A. Holcombe was born in 1860 at OH. She was the daughter of Webster Holcombe and Harriet A. Ducker. Clara A. Holcombe died in 1893. [S25] Hannah McPherson, Holcombe Genealogy, Page 129.1/Item A-8-1-2-6-6-8-2. [S25] Hannah McPherson, Holcombe Genealogy, Page 129.1/Item A-8-1-2-6-6-8-3. [S161] Carol A. Laun, Granby Center Cemetery, Page 112. Emma Sabra Holcombe was also known as Sabra Emma Holcombe. She was born on 4 May 1843. She was the daughter of Nahum Holcombe Jr. and Sabra Holcombe. Emma Sabra Holcombe died on 6 February 1851 at Granby, Hartford Co., CT, at age 7; whooping cough.1 She was buried at West Granby Cemetery, Granby, Hartford Co., CT.